Before the Internet, Track fans were at the mercy of Track & Field News or Sports Illustrated for two month old news at the newsstand. I even remember paying $5 a month for ESPN email alerts back in 1993 to my Freenet account! Sports Illustrated archives, better known as Sports Illustrated Vault is a wealth of information if you like historical stuff. You can spend hours surfing old articles on practically any athlete. Before Bud Winter published Relax and Win in 1981, he was already a world renowned expert in relaxation. Relax and Win is out of print, but it will be re-released sometime later this fall or early 2011. Here is a long read from the June 15, 1959 issue of Sports Illustrated. I like to remind everyone how Bud Winter had no track scholarships and a track budget of only $2,800 for the season! Morrow’s sudden cramp pointed up a theory expounded at length by Bud Winter, Ray Norton’s track coach at San Jose. Winter, who has put together a remarkably strong track team at San Jose State despite the fact that he has no track scholarships and a track budget of only $2,800 for the season, is probably the nation’s firmest exponent of relaxation. "I taught relaxation during the war to pilots," he said late one afternoon last week, sitting in the skimpy wooden stands at San Jose State, watching his athletes work in the still-bright California sun. "We were losing pilots in training because they were too tense. Pilots who had been fine in training tensed up going into combat and were lost. Pilots on Guadalcanal couldn’t sleep at night because the Japanese were sending over nuisance bombers to disturb their rest. We had to figure out some way to relax them. We worked out a program that taught pilots how to relax themselves, and we ran a test on two platoons, 60 men in each platoon. The 60 who learned how to relax did better in everything which requires physical coordination." He watched Norton run, the lean, handsome boy moving very easily, his hands flopping. "Watch his lower lip," Winter said. Winter is a sun-scorched, intense man who talks very rapidly, as if his ideas outpaced his words. "That’s what we work on. The lower lip and the hands. If his lower lip is relaxed and flopping when he runs, his upper body is loose. If his hands are relaxed, his arm muscles are relaxed. You got to run relaxed to get maximum speed. If you have antagonistic muscles working against each other, you’re working against yourself." Winter loosened his jaw and flipped his lower lip with his hand. "Like that," he said. "It’s got to be loose. Now, here’s what we do. We take a kid’s a good sprinter, we time him over 30 yards. We let him take a flying start, then, three times in a row, we get his time over a 30-yard stretch. 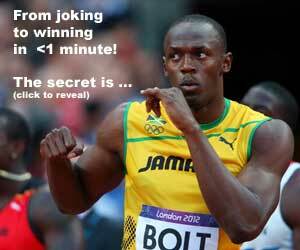 Say a good sprinter, he’ll run that 30 yards in 3 seconds flat, maybe. Three times in a row we time him, 3 seconds flat, with him going all out, straining. Then we say, ‘O.K., now, do it at four-fifths speed. Don’t strain.’ So he runs it at four-fifths speed and we time him and he comes up to me and I say, ‘What do you think your time was?’ And he’ll say, ‘Oh, maybe 3.4, Coach’ and I’ll show him the stop watch. You know what? Nine times out of 10, he’s run it two-tenths of a second faster. He’s run 2.8. You believe that? It’s true." He stopped to ask a pole vaulter if a new pole suited him. "It’s got a belly in it," the vaulter said. "Does it bother you?" Winter asked. "No, Coach," the boy answered. "I put it in. It helps." Winter turned back. "Take Norton," he said. "He was tensed up a little last year. Now he runs easy, relaxed. When he ran the 9.3 not long ago, he was real loose. When he crossed the finish line, his hands were limp, his mouth was open and loose. The tough thing is to teach a boy to keep that relaxation under the strain of strong competition. We have a course here in relaxation that I teach. I make the boys want to take it. Now Norton can run under stress and stay relaxed. That’s why he’s better."